For a number of years, the community of Lilette in Beaulieu, St George has been clamouring for better access roads. On Wednesday, 20 March between 4-5 pm, a family of 8 lost their home to fire, as the fire tender was unable to access the area in time due to the condition of the road. 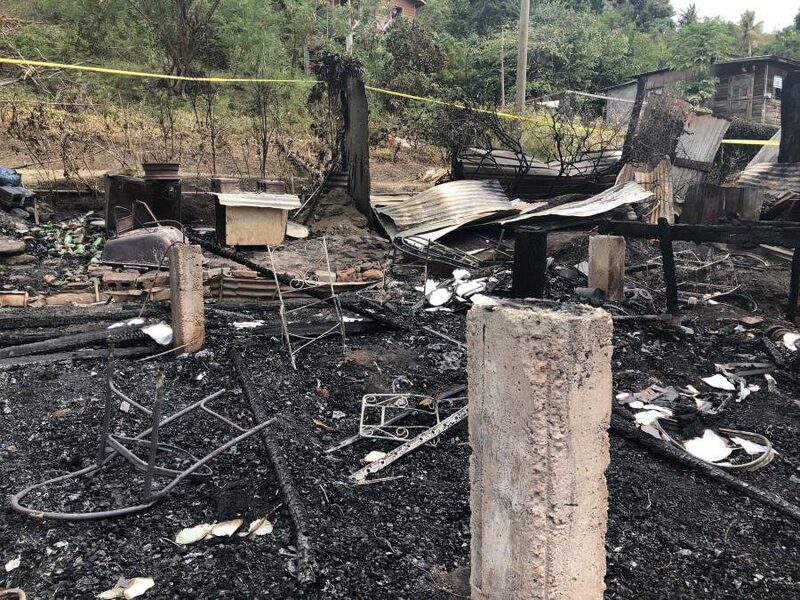 Carla Andrews, who was at home cooking at the time of the fire, was only able to salvage a gas tank she recently bought on Tuesday. 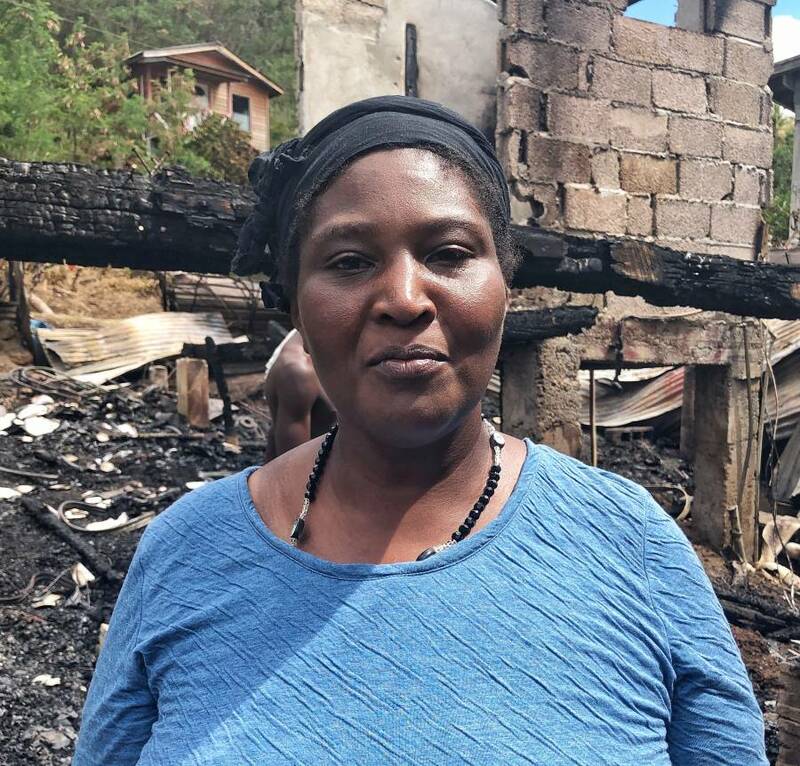 “I was in the house when the fire started, and 3 children were in the house, 2 girls and a boy and I was in the kitchen cooking and we all were talking and laughing while they were in their bedroom and I leave them afterward and go in the kitchen and put on my pot, I already place the rice and everything in the pot when the fire started and we had to run out immediately,” said Andrews. The Boca Secondary School (BSS) stepped forward to assist the family and in particular, a form 3 female student who is among children affected. The school posted on its Facebook page inviting people to assist the family with food items and clothing and has given them the option of either dropping off the items or contacting the school at 440-2608. 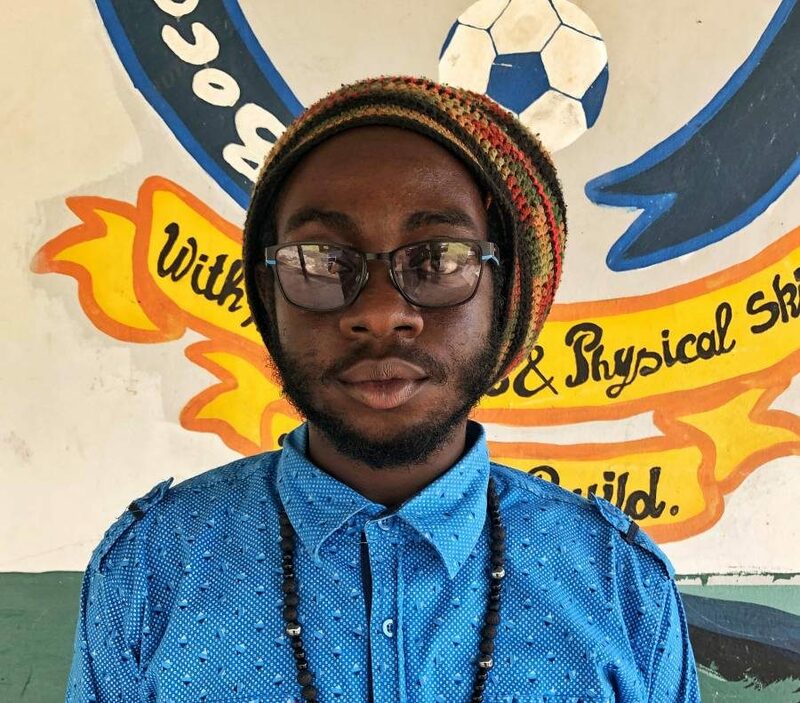 Kitaka Mawuto, a teacher at Boca is leading the initiative. He and a team comprising of teachers and students visited the home on Thursday to assess the damage. He is hoping that the relevant authorities at the ministry could assist the family in rebuilding their home. “When people usually lose their house, people will basically want to give them a lot of clothes and foodstuff, but at the end of the day when you lose a house, I think the most important thing that a victim will be looking for is a home. So for me, I am pleading on behalf of the family to government and relevant people in the public service who may have more resources than we do, to see what can be done to provide a home for the affected family,” said Mawuto. Police were this morning on the scene of the fire continuing their investigation. According to the mother, the fire is believed to have started in one of the bedrooms at the back of the house, however, the police have yet to determine the cause.